“The senior Metropolitan Most Rev. Dr. Philipose Mar Chrysostom of the Malankara Mar Thoma Syrian Church has been an ardent supporter and promoter of ecumenism and the Asian ecumenical movement,” the CCA General Secretary, Dr. Mathews George Chunakara stated in a congratulatory message addressed to the centenarian Metropolitan and the Malankara Mar Thoma Syrian Church. Metropolitan Most Rev. Dr. Philipose Mar Chrysostom, the longest-serving bishop and ecumenical leader in Asia, has been at the helm of ecclesiastical and ecumenical affairs for more than seven decades, playing a pivotal role in Church and society, as well as in the ecumenical movement. Mar Chrysostom’s 100th birthday will be celebrated during a special thanksgiving service and public event at the headquarters of the Malankara Mar Thoma Syrian Church in the Kerala State of India on 27 April 2017. “The Most Rev. Dr. Philipose Mar Chrysostom Metropolitan has been providing leadership, not only to the Mar Thoma Syrian Church, but also to the ecumenical movement as a whole. His leadership as President of the National Council of Churches in India (NCCI), his participation at the CCA Assemblies and its committees, as well as his participation and leadership at the Evanston and Uppsala Assemblies of the World Council of Churches (WCC) and at other global ecumenical events are deeply valued by the international ecumenical community,” Dr. Mathews George added. Born on 27 April 1918, Metropolitan Chrysostom was consecrated Bishop on ‎23 May 1953. He served as the Diocesan Bishop, Suffragan Metropolitan, Officiating Metropolitan and the Mar Thoma Metropolitan. He was designated as the Valiya (Senior) Metropolitan on 2 October 2007. The versatility of Mar Chrysostom’s spiritual and pastoral leadership and administrative acumen has been recognsied by people from all walks of life. He is known as a dynamic enabler, prolific orator, pungent writer, tactful negotiator, valiant defender of the law, compassionate at heart; and for his great respect for other religions and faiths, diversity of opinion and his humility and simplicity. Read the full text of the CCA General Secretary’s congratulatory message on the birth centenary of His Eminence Most Rev. 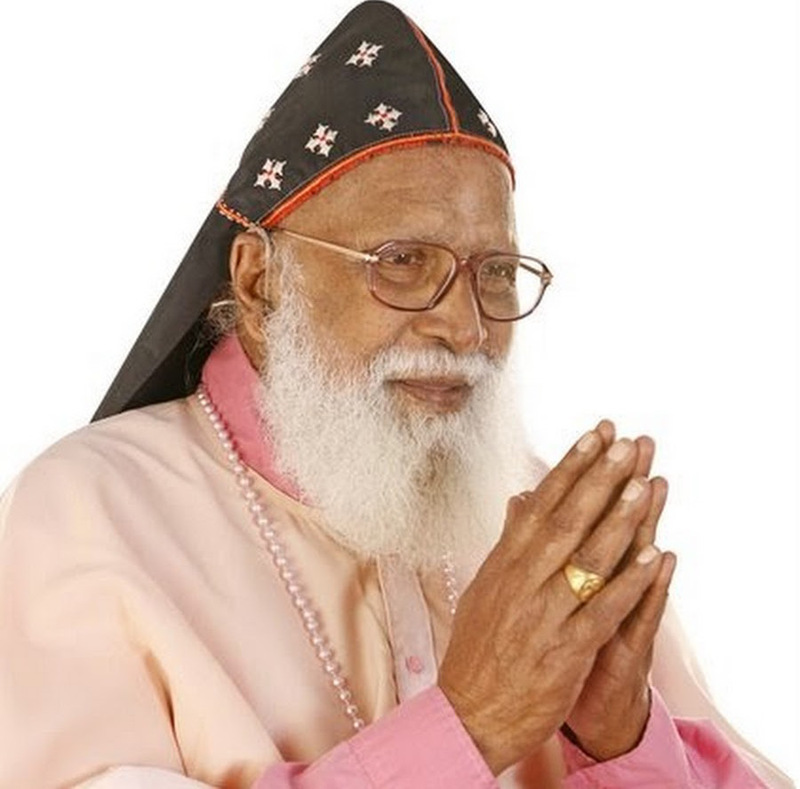 Dr. Philipose Mar Chrysostom Mar Thoma Valiya Metropolitan.